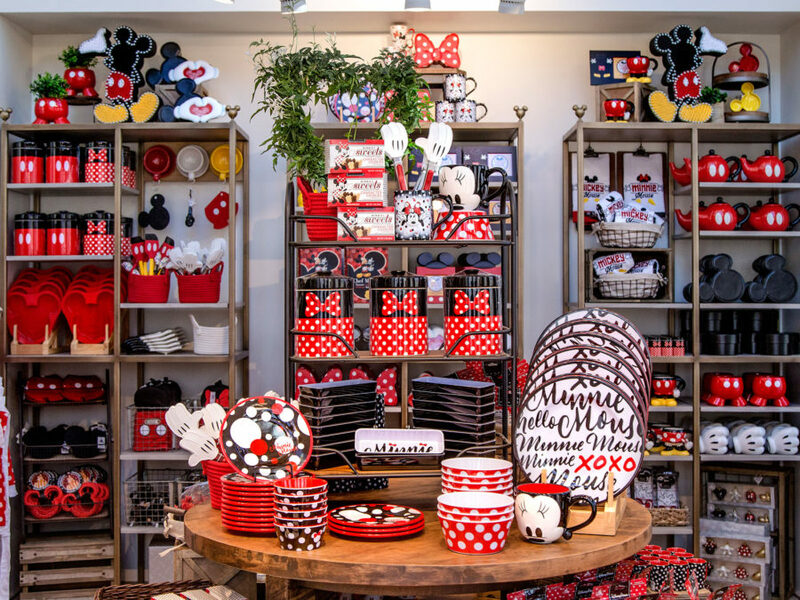 Here’s a fool proof way to bring some cheer and happiness into your kitchen: Stop by the newly opened Disney Home store at the Disneyland resort in California, and deck your entire kitchen out in all things Mickey Mouse. The store is a paradise for people who obsessed with Disney: There is of course the requisite section dedicated to Mickey and Minnie Mouse, where you can find cookie jars, plates, mugs, spatulas, a tea kettle, oven mitts, bowls, and cookie cutters, all printed in the characters’ iconic red, black, white and yellow patterns. You could sprinkle a few items around your house to appease your children or show off your playful side, but if you’re a true fan of Disney, there’s nothing stopping you from turning your kitchen into a shrine to Mickey, right down to the dishtowels. You’ll also find dinnerware themed after another Disney classic, Beauty and the Beast. 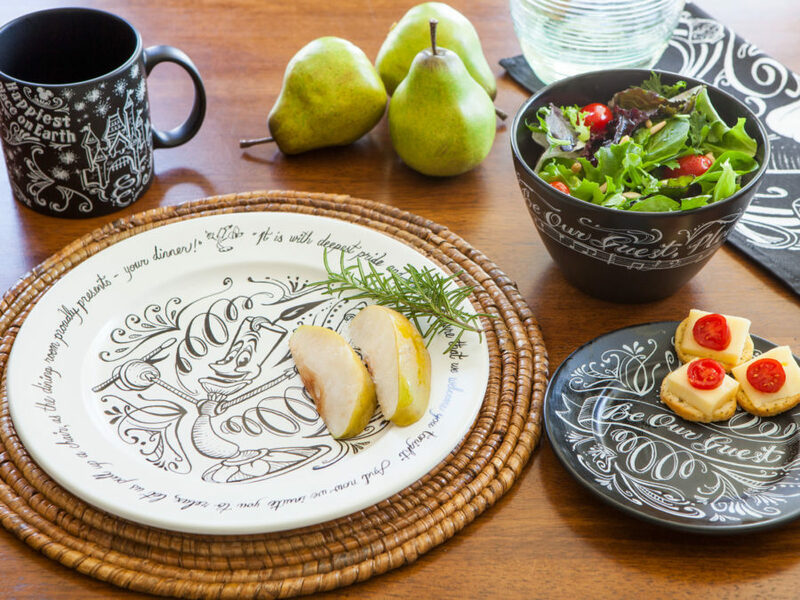 The plates, sauces, and mugs feature simple black and white illustrations of characters from the story alongside elegant cursive script, if you’re into a slightly more subtle tribute to Disney. Of course, there are also teacups shaped like Chip. 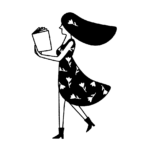 Expect to also find a wall of mugs modeled after every Disney movie you can imagine, from The Little Mermaid to Cinderella, and more goodies for your home including picture frames, pet supplies, cocktail shakers, and aprons. 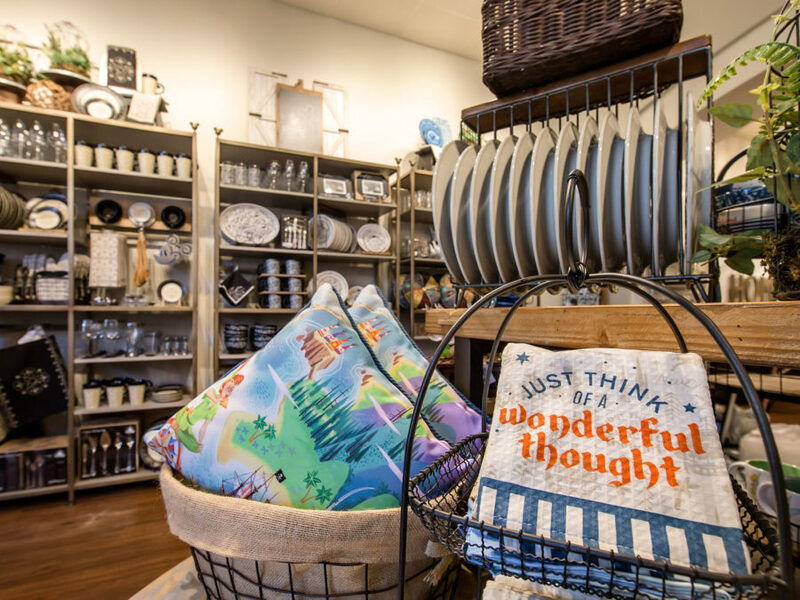 This is the Williams-Sonoma of Disney stores; if you can think of a kitchen supply that you need, the Disney Home store will probably have it. So next time you’re at Disneyland, do yourself a favor: Take a break from buying stuffed animals for the kids and stop by Disney Home to redecorate your kitchen. After standing in line for rides all day, you probably deserve it.